Capt. 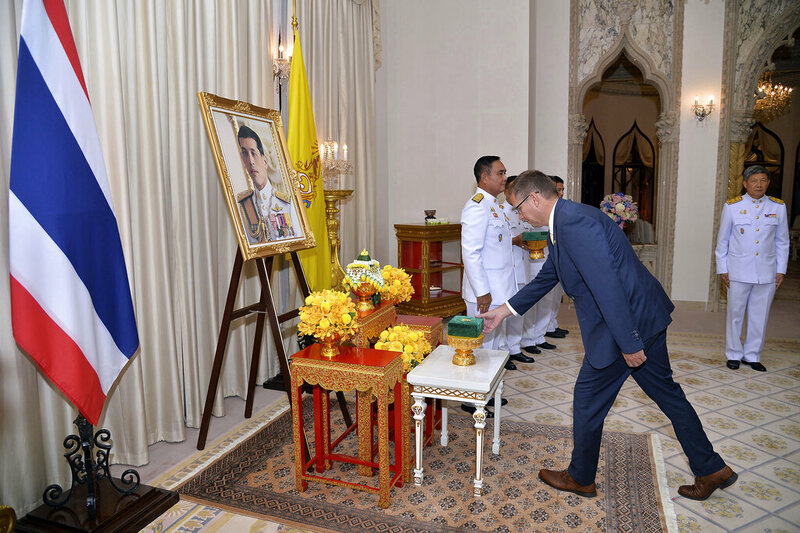 Wasan Sathornkit, deputy commander of Air and Coastal Defense Command, presided over the ceremonies to honor and venerate Adm. Abhakara Kiartivongse, Prince of Chumphon. 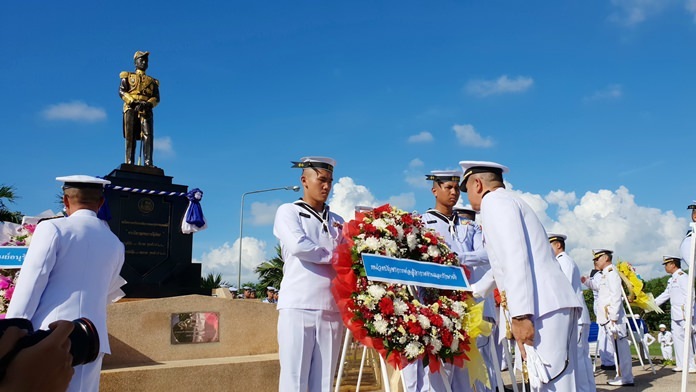 Government and Royal Thai Navy officials marked the 95th anniversary of the death of “father of the Thai navy” in Sattahip. Air and Coastal Defense Command deputy commander Capt. 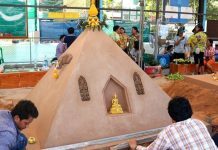 Wasan Sathornkit presided over a May 19 garland presentation and a ceremony to honor and venerate Adm. Abhakara Kiartivongse, Prince of Chumphon, in front of the marines’ headquarters. An honor guard of nine fired 19 shots to honor the spirit of the prince, who died May 19, 1923 at age 42. The prince studied naval warfare in England and returned to Siam in the age of King Rama V to serve in the Royal Siamese Navy and contribute significantly to the advancement and modernization of the service. In addition to his career in the navy, the prince studied medicine and was particularly interested in the use of herbal medicine in treating his patients. As “Doctor Phon,” he provided medical treatment to people of all classes and races. The Royal Thai Fleet traces its roots to 1923 when a unit specializing in warships was founded under the name Royal Thai Navy, reporting directly to the Ministry of Naval Officers, with three warships fleets consisting of gun and torpedo squadrons and warships. 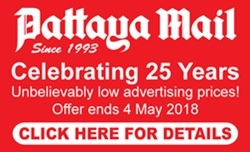 It wasn’t until 1933 when the name Royal Thai Navy was changed to Royal Thai Warship, reporting directly to the Ministry of Naval Officers, until 1951, when the name was again changed to Royal Thai Fleet.